"The Icarus Project" is populated by characters who inhabit a landscape in which their identities are constructed around one mans notion of good and evil. These constructs ultimately unravel to reveal the consequences of their essential nature. 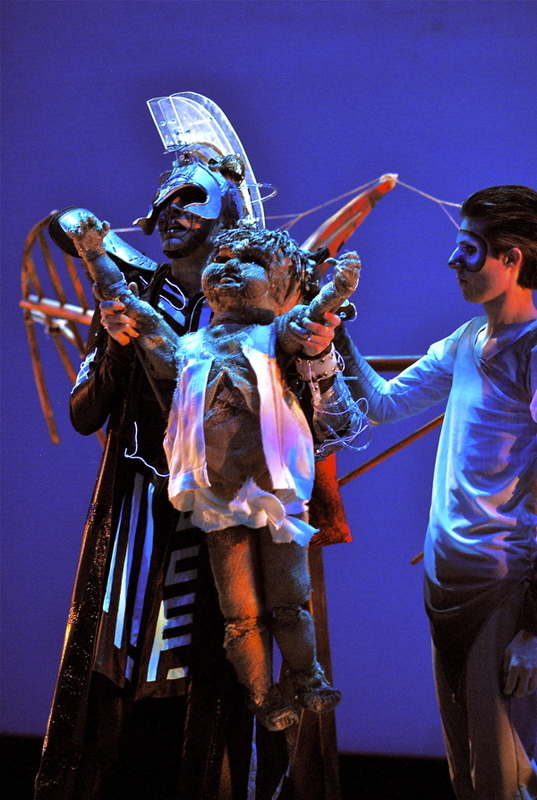 This piece was intended to be a collaborative community exploration of the Icarus myth. All puppets were designed and engineered by Eli through a process of intense interaction with the performers and were intentionally crafted to "age" with each performance.